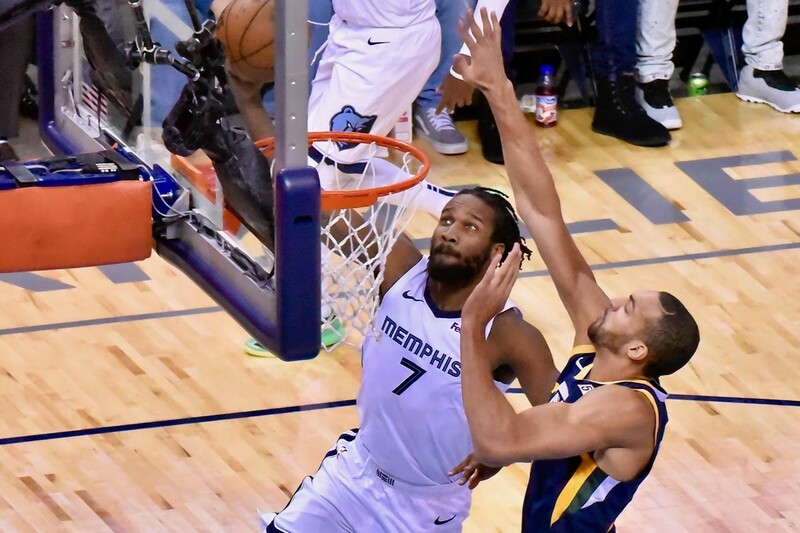 The Grizzlies hosted the Utah Jazz at FedExForum Monday night, where Memphis had been undefeated for the first five home games of the season. 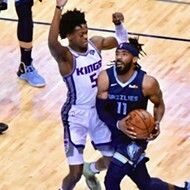 It was the third matchup between the Jazz and Grizzlies, with Memphis winning the first two. 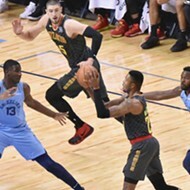 Memphis entered the night having played their most exciting home game thus far with Saturday's Wrestling Night win over the Philadelphia 76ers. Mike Conley's shooting bounced back in a major way (32 points on 12-24 shooting, 4-8 from deep). The win against Philly was a trademark Grizzlies nail-biter, with Memphis coming back late, and winning by 6 in overtime. Unfortunately, they lost Dillon Brooks to a freak injury that will leave him sidelined 6-8 weeks with a Grade 2 MCL sprain. 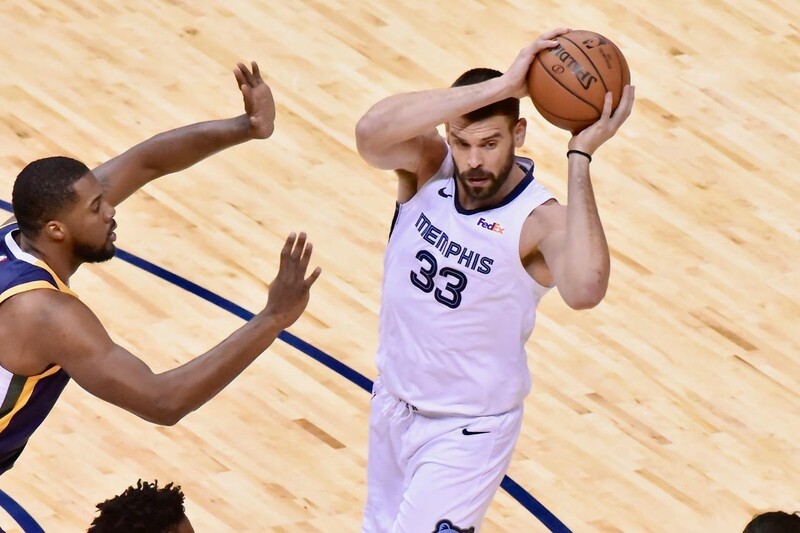 The Grizzlies started Monday night's game in a stupor, playing sloppy on defense and shooting poorly (1-9) from the field, and stumbling out of the gate. Meanwhile, the Jazz got a Thanksgiving spread's worth of open looks from three in the opening period, but only converted on four of 12. 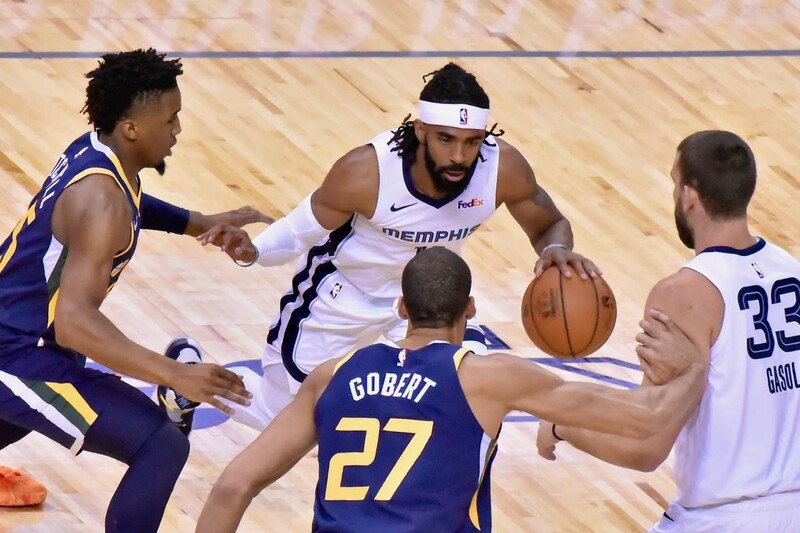 The Grizzlies defense stabilized, however, holding the Jazz to 36 percent FG shooting for the half, and Memphis was able to claw ahead midway through the second quarter to head into halftime with a 43-40 lead. Mike Conley and Marc Gasol led the way in scoring for the Grizzlies in the first half, pouring in 16 points. 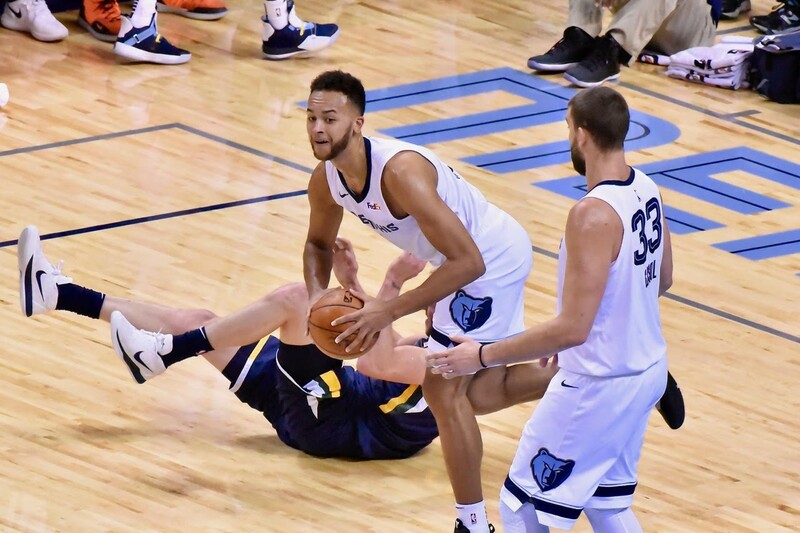 Despite missing Dillon Brooks' punch on both sides of the ball, the Grizzlies bench contributed 14 points in the half between Wayne Selden, Shelvin Mack, and MarShon Brooks. 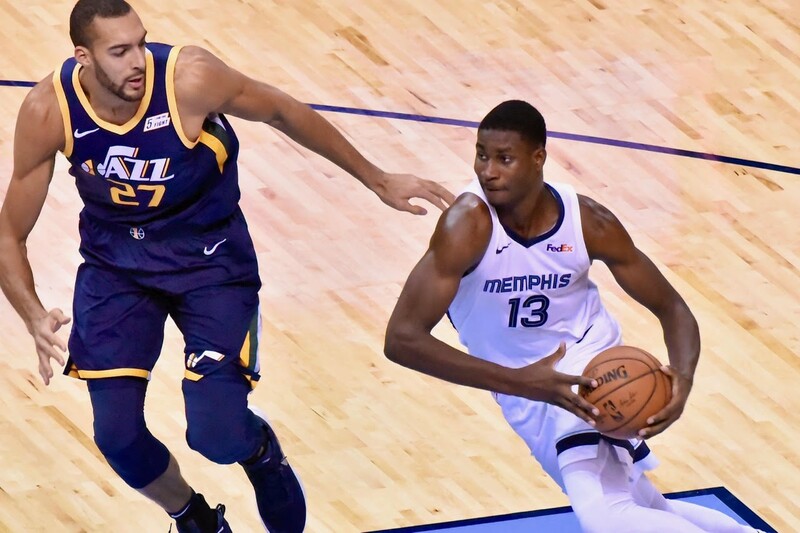 Surprisingly, Jaren Jackson led all Grizzlies in assists with 3 dimes in the half, and Memphis crushed the Jazz in the paint, 28-14. Things were pretty much the same after halftime, with both teams struggling to score in a brawling defensive matchup. Both the Jazz and Grizzlies remained very much in the mud. One notable defensive stop (that featured two new Grizzlies) happened when Donovan Mitchell drove to the hoop and Garrett Temple kept his position between Mitchell and the basket, and guided Mitchell right into a Jackson weak-side block. Speaking of Jaren Jackson, his defensive impact was felt throughout the game, and he avoided foul trouble (earning his first personal with 5:59 left to go in the third quarter). Moreover, he notched his first NBA career double-double with 10 points and 11 rebounds. Strangely, he only played 25 minutes, though he finished with 3 fouls, and wasn't on the court at the end of the game. The Grizzlies tied the Jazz at 62 with about 3 minutes left in the third, but Utah pulled ahead and didn't relinquish the lead. Memphis kept the game within striking distance until late in the fourth, and looked like they might make another late comeback, but couldn't hit enough shots (especially from deep). Defense was the star of the matchup tonight, with Gasol continuing to helm the Grizzlies on that end of the floor in Defensive Player of the Year fashion. Unfortunately, Rudy Gobert (15 points, 16 rebounds, 3 blocks) looked very much like the reigning DPOY, and held Jackson at bay. True to form, the Jazz played tremendous, and highly physical, team defense. One area of weakness for Memphis on defense was their coverage on the perimeter. The defense gave up a lot of open looks beyond the arc, and I'm surprised the Jazz didn't convert on more of their three-point attempts. 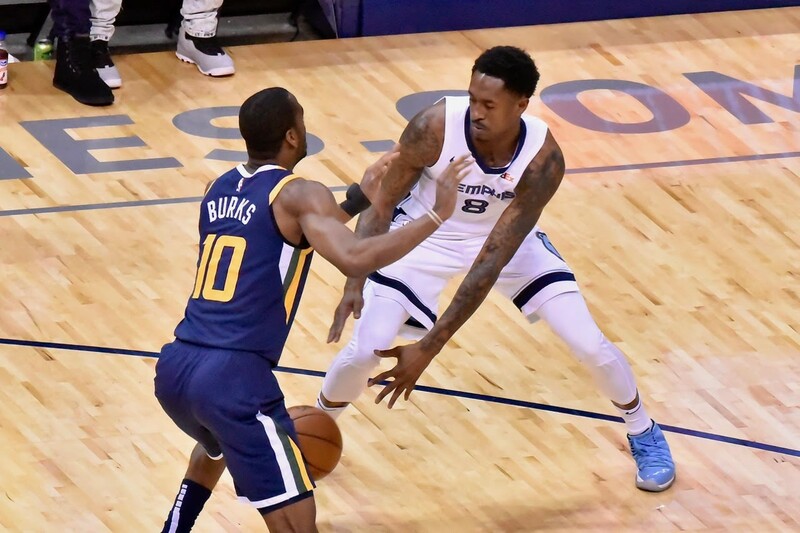 Monday night also marked the first time this season the Grizzlies had more turnovers than their opponent, and the Jazz capitalized on those opportunities. Memphis lost on the offensive boards as well, pulling down 8 to Utah's 13. In his postgame press conference, head coach J.B. Bickerstaff said the game got away from the Grizzlies due to choppiness. 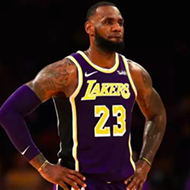 He said the game was choppy in the way it was being called, and the team struggled to find a rhythm amid funky, injury-adapted rotations and offensive disorganization. Bickerstaff also spoke about how the Grizzlies need re-establish the strong bench chemistry they had before Dillon Brooks' injury. Joe Ingles played exceptionally well for the Jazz, finishing with 27 points, 5 rebounds, and 7 assists. Garrett Temple's defense on Donovan Mitchell was pretty impressive. Mitchell had 12 points on 3-14 shooting and went 0-2 from deep. 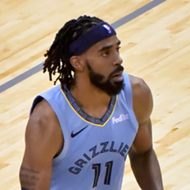 Mike Conley had another good shooting game, leading all Grizzlies with 24 points on 43.8 percent shooting from the floor, and converted on 3 of his 8 attempts from three. 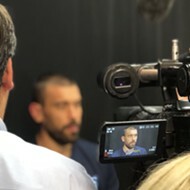 Gasol looked way more aggressive in this game, and has been talking about how he needs to step up his game in that regard. He banged around in the paint, took quick shots, and made assertive moves to the rim. He finished with 16 points on 7-13 shooting (missing all four of his three-point attempts), 5 rebounds, 3 assists, 1 steal, and 2 blocks. The Grizzlies need everything they can get on the offensive end, so hopefully Gasol maintains this level of aggression. Kyle Anderson had a horrid shooting night, failing to convert on his sole three point attempt, leaving shots short at the rim, and shooting 27.3 percent from the floor on 11 shots. Anderson had a positive impact in other areas, however, gobbling up 13 rebounds, 5 assists, and a steal. But the Grizzlies will need Anderson to pick up his shooting if they want to stay above .500. Garrett Temple's defense was on point, but he had a cold shooting night, contributing just 6 points on 25 percent shooting, and missing all four of his attempts from deep. Shelvin Mack also failed to hit a triple. 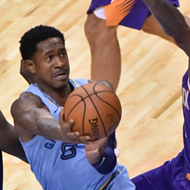 MarShon Brooks had 10 points off the bench, shooting 4-9 and 1-2 from deep, but was often trying to manufacture a shot totally on his own when the Grizzlies offense went stagnant. The Grizzlies can't toss the rock to Brooks and expect him to pluck buckets out of thin air against an elite defensive team like the Jazz. Memphis definitely needs him to take shots, but he needed help getting better looks in this game. The Grizzlies return to action on Wednesday, when they travel to Milwaukee to take on the Greek Freak Bucks. Jaren Jackson Jr with a 10/10 and 5 block performance. He's the first rookie to do that since Bam Adebayo last season. The last 5 rookies to do that were: Adebayo, Embiid, Porzingis, Salah Mejri (!?! ), and KAT.